Engagement rings are always spectacular and breathtaking. But when we are talking about celebrity engagement rings things always go over the top. From huge diamonds to historic gemstones, celebrities have a way of choosing the engagement rings we all dream about. 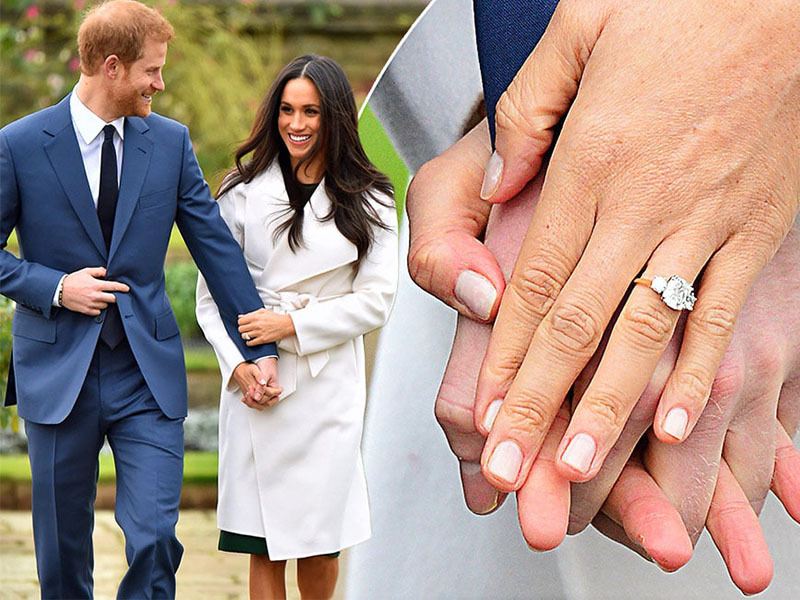 And since everybody is interested in celebrity weddings and relationships, let’s take a look at some of the most famous celebrity engagement rings in history. 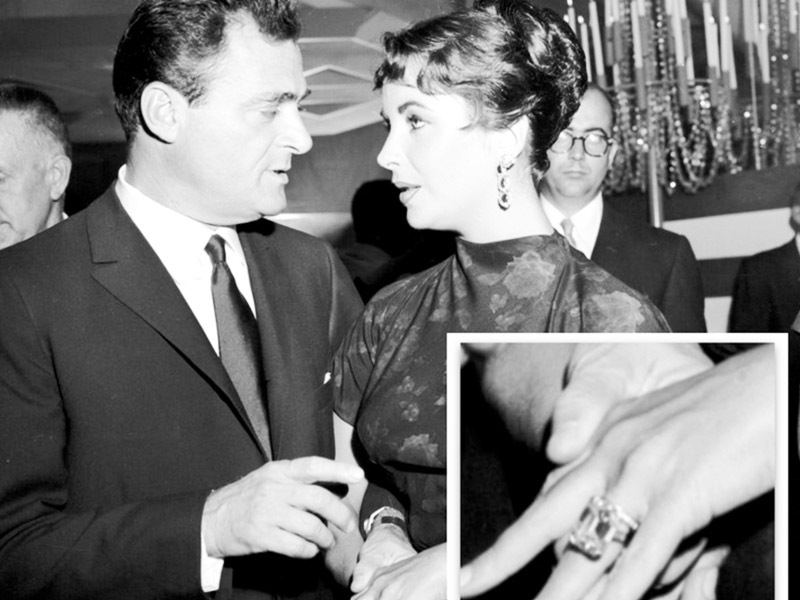 When we hear Elizabeth Taylor we instantly think about her and Richard Burton, but it was Michael Todd who offered the famous diva a breathtaking 30-carat emerald cut diamond. Yes, you read that correctly. Sold at a 2011 auction, the ring’s value was $3.7 million. As for the marriage between Elizabeth Taylor and Michael Todd, unfortunately, that was short-lived – only one year. 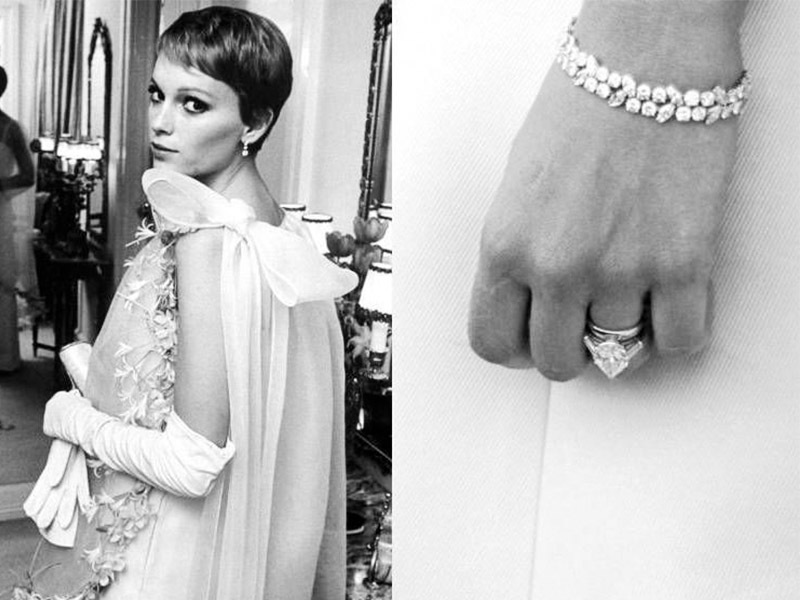 Mia Farrow received from her blue-eyed fiancé a pear-shaped diamond engagement ring with tapered baguettes which, at the time, was estimated to around $85,000. While their marriage lasted more than Elizabeth’s and Michael’s, it was still short-lived – almost two years. 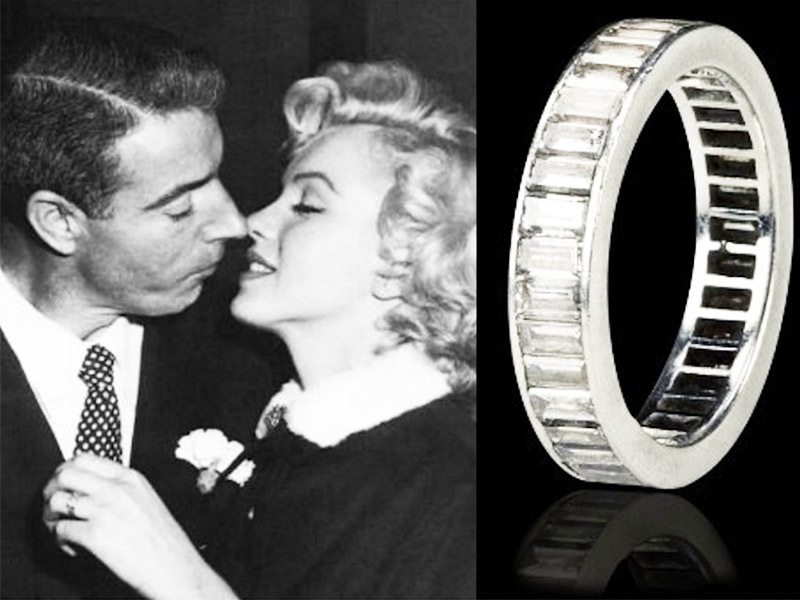 The beautiful blonde received from her fiancé an exquisite platinum eternity band with 35 baguette-cut diamonds. We don’t know about eternity since they got divorced only a year later, but their marriage was passionate enough to give birth to legends and stories. One of the few couples that defy the Hollywood tradition of short-lived marriages, Catherine Zeta-Jones and Michael Douglas have been married 18 years now. He proposed to her with an antique diamond ring with a 10-carat stone surrounded by 28 smaller diamonds. Perhaps offering an antique engagement ring is a way to ensure a long, happy marriage after all. Another couple set on defying traditions, Elizabeth Hurley and Shane Wane were supposed to get married in 2013 after he proposed to her with 9-carat deep blue sapphire ring. The wedding was called off, but this gorgeous ring inspired people to regard sapphires as an alternative to diamonds for engagement rings. The world-famous model received from her fiancé a very interesting engagement ring. It was custom created after a design by none other than F. Scott Fitzgerald. Apparently, the writer drew some sketches for a ring which he gave his wife, Zelda. Jaime Hince saw the sketches and decided to propose to his girlfriend with the very same ring. And talking about fabulous engagement rings and supermodels, Heidi Klum received from her fiancé a breathtaking canary yellow diamond ring of 10 carats. We don’t know whether it was the ring, the passion or both of them, but their marriage lasted for almost 10 years, which is a record in Hollywood. The talk-of-the-market most recent royal couple couldn’t miss from this list, especially since the Prince himself designed the engagement ring. He used a diamond which he personally picked from Botswana and other tiny diamonds from Princess Diana’s jewelry collection. The result was absolutely astonishing. The real-life “True Blood” couple chose to be as non-traditional as their movie characters. Stephen Moyer proposed to Anna Paquin with a beautiful, yet unusual moonstone engagement ring. Diamonds may be forever, but the moonstone symbolizes eternal passion, so we’d say it’s a pretty good choice. Engagement rings can be true masterpieces. While most people choose diamond engagement rings because of the symbolism, recent trends have shown us that there are many more options. Sapphires are elegant and eye-catching, rubies symbolize fiery passion, while the moonstone is a mysterious and delicate choice. Opal engagement rings have also become a popular choice. The beautiful white stone (which can also come in green, red or even black hues) symbolizes innocence and purity. The Greeks used to believe that opals were the tears of Zeus. Today, more and more people are inclined to consider more options when it comes to engagement rings. If you are thinking of buying an engagement ring for your beloved one, make sure to get her ring size correctly. Besides the size, you need to also consider her style and your budget. If you are looking for affordable jewelry and your lover is unconventional, you can always try to get her a semi-precious engagement ring. If you are set on buying diamonds, check out the various styles and make an informed decision. 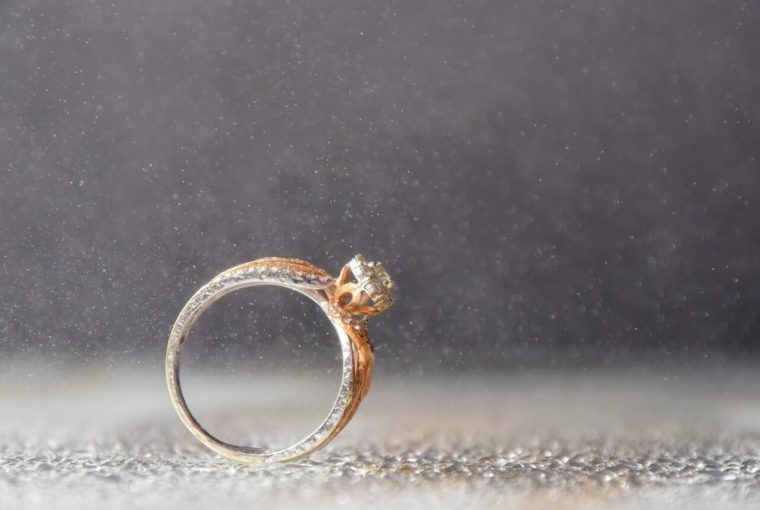 And last, but not least, if you want to receive an engagement ring, but your lover seems clueless, just share this article on your social media page. He’ll get it. For more jewelry fashion & advice read our other articles as well and become a jewelry expert.